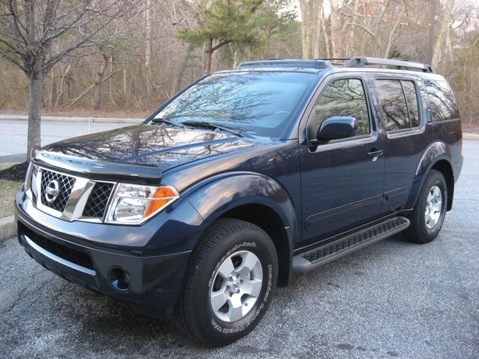 NEW LOW, LOW PRICE on this 2006 Nissan Pathfinder SE. AMAZING STEAL...you won't find this QUALITY SUV with the options it has ANYWHERE in South Jersey for WHOLESALE PRICE OF $14,995. ** 3rd ROW SEATING FOR 7 PASSENGERS ** CLEAN TITLE HISTORY ** LOW MILES ** FULLY SERVICED ** PUMPKIN CERTIFIED ** BARELY BROKEN IN with just over 51k orignal miles. Options include CD Player, Alloy Wheels, Driver's Side Power Seat, Running Boards, Roof Rack, Privacy Glass Windows and Much More!! ** SHARP DARK BLUE ON GRAY Color Combo ** Equipped with a V6, 4.0 Liter Engine and All Wheel Drive. Just in time for Winter, this vehicle handles well with LEGENDARY PERFORMANCE. STOP IN TODAY FOR A TEST DRIVE. 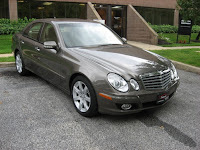 For more information log onto our website at http://www.pumpkincars.com/ or CONTACT US AT (609)646-7676. Looking for an INEXPENSIVE, QUALITY VEHICLE?? 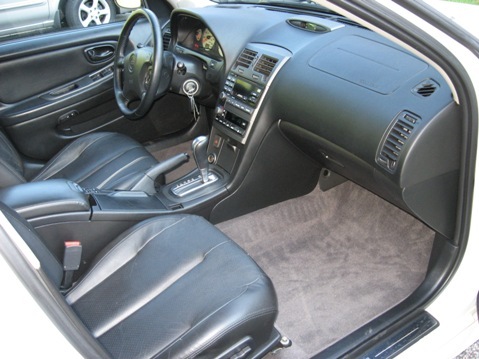 Then stop by our INDOOR SHOWROOM and check out our 2001 Nissan Maxima SE, 20th Anniversary Edition. 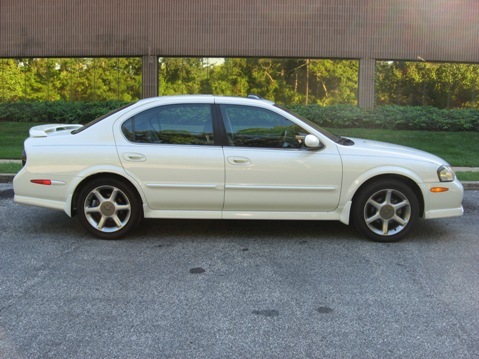 This ONE OWNER Maxima is a UNIQUE FIND with its PEARL WHITE on BLACK LEATHER Color Combo and its TERRIFIC CONDITION, both mechanically and cosmetically. Priced at ONLY $8,995, it has TONS OF GREAT FEATURES and comes with a CLEAN & PERFECT TITLE HISTORY! It's LUXURY TRIM PACKAGE includes Power/HEATED SEATS, 17 inch Alloy Wheels, Rear Spoiler, Power Moon Roof, Bose Premium Sound System with 6-Disc CD Changer and more! LEGENDARY REPUTATION FOR RELIABILITY & LOW MAINTENANCE COST... you can't go wrong! Visit us and test drive this pristine car today. CONTACT US AT (609) 646-7676 or send us an email at [email protected] for more information. 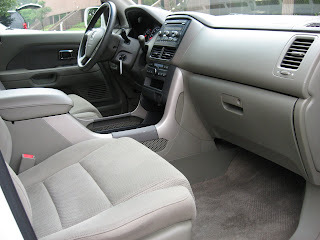 To view a complete listing of our pre-owned cars, log onto our website at http://www.pumpkincars.com/ where you can find a wealth of information including directions to our showroom and even a credit application for financing...right online! HURRY IN...this Maxima SE WON'T BE HERE FOR LONG! Looking for something a little more than just your basic transportation??? 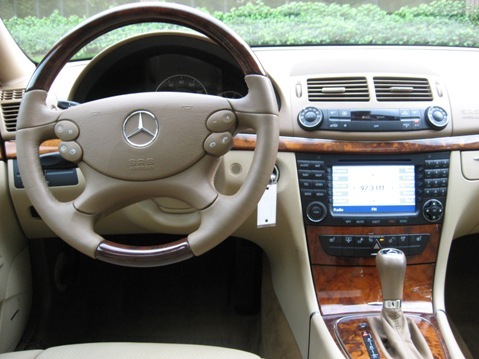 Then you need to come see this 2008 Mercedes-Benz E350 that we have in store for you! This IMMACULATE, PRISTINE Mercedes-Benz has CLASS & PRESTIGE written all over it! LIKE NEW, only driven 38,500 original miles and still UNDER A FACTORY WARRANTY. VERY WELL EQUIPPED and powered by a V6, 3.5 liter engine with Automatic Transmission and AWD. This ONE OWNER E350 is a CARFAX CERTIFIED vehicle with a CLEAN & PERFECT TITLE HISTORY! 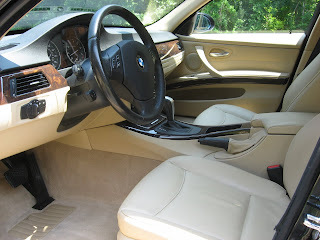 Very UNIQUE & GORGEOUS Bronze Metallic on Tan LEATHER Color Combo with Laurel WOOD TRIMMING. Features include Power/HEATED SEATS w/ Memory, NAVIGATION, Wood & Leather Trimmed Steering Wheel, Alloy Wheels, Power Moon Roof and so much more! FULLY SERVICED & PUMPKIN CERTIFIED, priced at $29,995! Visit us and test drive this pristine car today. CONTACT US at (609) 646-7676 or by email at [email protected]. For more information, log onto our website at http://www.pumpkincars.com/. SELLING LIKE HOT CAKES are the BMW X-Series SUVs...and for good reason! 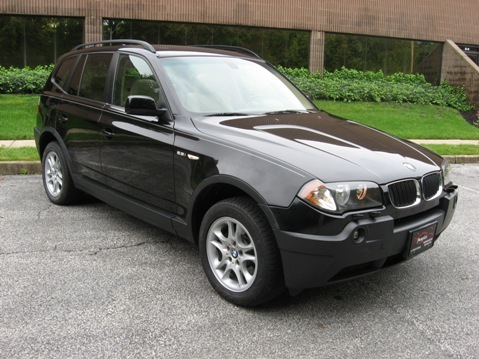 Check out this 2004 BMW X3 2.5i, 4-door SUV we just received. In IMMACULATE CONDITION, as always here at Pumpkin Cars, this CARFAX GUARANTEED, LUXURY BMW has got it all! FULLY SERVICED, PUMPKIN CERTIFIED and with a CLEAN & PERFECT TITLE HISTORY your money can't be spent any better, anywhere else! FULLY LOADED with a PANORAMIC MOON ROOF, Power/HEATED SEATS w/ Memory, Alloy Wheels, Privacy Glass Windows, a Premium Sound System with CD Player, Auto-Dim Rear View Mirrors, Roof Rack and more! With VERY LOW MILEAGE, this vehicle has been DRIVEN LESS THAN $8k per year on average and is priced WELL BELOW BOOK AT ONLY $17,995. Visit us and see for yourself why so many others are choosing Pumpkin Cars as the ONLY PLACE TO BUY A QUALITY PRE-OWNED VEHICLE! Test drive this pristine car today! For driving directions to our indoor showroom, log onto our website at http://www.pumpkincars.com/. CONTACT US AT (609)646-7676 or by email at [email protected]. 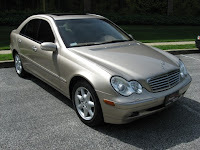 Check out this IMMACULATE 2004 Mercedes-Benz C320 4matic, sedan. 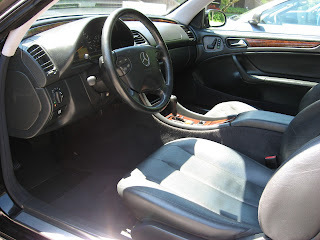 This LIKE NEW C-Class is in such FANTASTIC CONDITION, it still has its new car smell. Its a SPORTY LITTLE Benz with just over 72k original miles and is PRICED AT ONLY $13,995...a fraction of the MSRP. Powered by a V6, 3.2liter engine with Automatic transmission and All Wheel Drive its great for the upcoming Winter season, handling well through all types of weather. WITH EVERY OPTION AVAILABLE and a CARFAX GUARANTEE, its well worth the buy. As with all of Pumpkin Cars, this C320 has been FULLY SERVICED & PUMPKIN CERTIFIED. Luxury Options include a 6-Disc CD CHANGER, Power/HEATED SEATS w/ Memory, NAVIGATION, XENON HEADLIGHTS, Power Moon Roof and more! Visit us and test drive this pristine car today. CONTACT US at (609) 646-7676 or email us at [email protected]. For more information, log onto our website at http://www.pumpkincars.com/. Tickets are $25, which include a buffet and DJ entertainment. There will be flat-screen televisions for the NFL games and a full cash bar, as well as plenty of great raffle prizes and auction items to bid on. So come on out and join the community in hanging out with Tom and his wife, Kirsten for some Sunday fun! 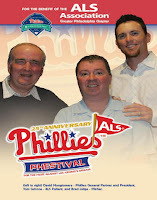 Tickets can be purchased by visiting the website at http://www.friendsoftomcetrone.com/. For additional information visit the site or email [email protected]. If you are on Facebook, don't forget to join "The Friends of Tom Cetrone" group page. We look forward to seeing you there! Today only from Pumpkin Fine Cars we present to you this sporty and elegant 2000 Mercedes Benz Clk320. 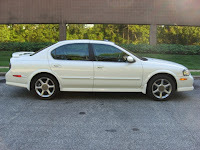 This is a great car at a great value and a car like this will always have a place in our inventory. This Clk has great miles with only 73k and as always has a spotless Car Fax Report. With it's Black exterior and Black leather interior, this color combination is always in high demand and is the most sleek combination for this model. With it's strong and reliable Mercedes Benz 6 cylinder, 3.2 liter engine this coupe provides plenty of horsepower all while remaining fuel efficient. It is a very fun car to drive with a smooth and almost effortless ride. As far as features and options, this Clk is very well equipped and comes with Power and Heated Seats with Memory Positions, Alloy Wheels, Power Rear Sunshade, Xenon Headlights and Much More. As with all of our Pumpkin Cars this car was hand picked by Franck Freon, who uses his years of experience buying cars and his 18 years of experience as a professional race car driver to make sure that we only bring the best of the best into our inventory. 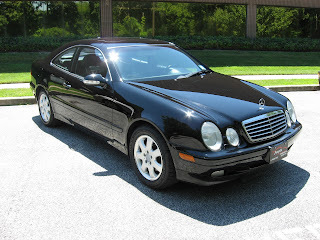 Priced at only $11,995, you can own a top quality Mercedes Benz coupe for less than a Kia!! The car has been fully serviced, assessed by Franck Freon for any mechanical and cosmetic corrections, professionally detailed and is ready to make one of our great customers very happy! This is all done as part of our strict Pumpkin Certification program and we do not take short cuts. Swing by our unique indoor showroom today to take this baby out for a spin and see how quickly you fall in love. As most of our regular readers and followers know, from time to time, we here at Pumpkin Cars in Egg Harbor Township, NJ like to keep our customers informed on current industry trends, general auto shopping and also auto care tips. 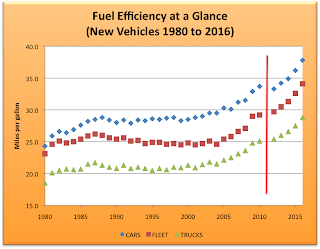 We want to touch a bit today on how automakers are gearing up to meet the new fuel efficiency standards set to be in place in 2016 which will require that all new vehicles average 34.1 miles per gallon. J.D. 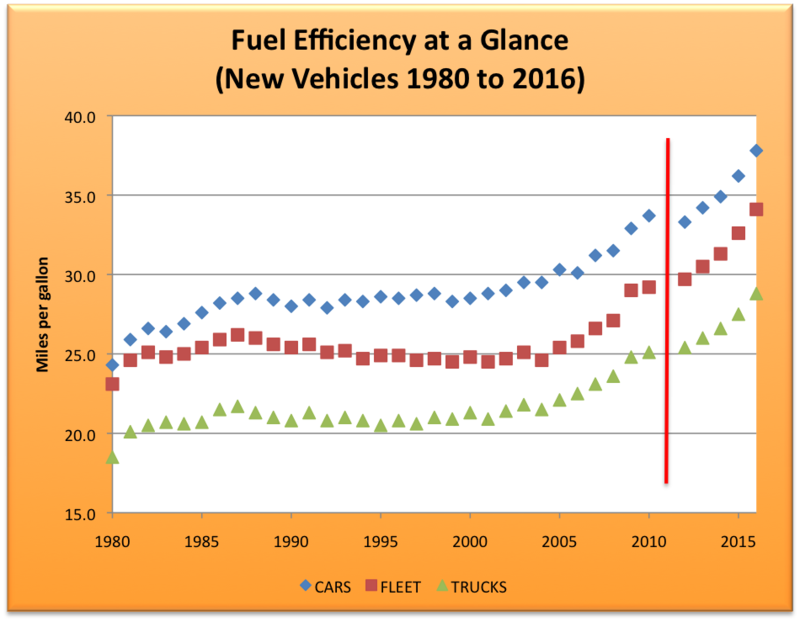 Power and Associates forecasts that next year 51 percent of all vehicles produced will carry four-cylinder engines, while V8's will fall to just 17 percent and six-cylinders making up the rest. With the American consumers' love of trucks, SUVs and powerful sports cars some may wonder how this will be accomplished. The short answer is: technology. 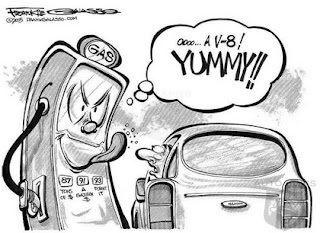 The technologies that are being developed and those that are already in place will make it so that a die-hard V8 lover will notice less and less of a difference as engineers find ways to extract more power from a four-cylinder. The four major developments that will impact the engine are direct injection, variable valve timing, electronics and turbocharging. Direct injection shoots fuel directly into combustion chamber instead of it's intake manifold which will result in cleaner, more efficient combustion. Variable Valve Timing has to do with the speed of the engine valves opening and closing. Instead of the valves only opening and closing at one constant speed VVT allows the timing of the valves to change depending on the RPM's which will increase performance and efficiency. Electronics are changing a lot about how cars are engineered. Electric power steering replacing a traditional power steering hydraulic pump is one example that will increase fuel economy. Last but not least is Turbocharging which can be a touchy subject for someone that has been burned by a turbocharged engine in the past (not literally burned). Today's turbos are much more efficient, won't lag are more compact and have better water based, as opposed to traditional oil based, cooling systems and are now covered for eight years or 80,000 miles by a federal emissions control warranty. All of these improvements combined with counter balance shafts, improved engine mounts and better sound deadening will have you wondering what size engine is under the hood of a car you just test drove. One final example is Ford's new twin turbo EcoBoost four-cylinder, 2.0 liter engine featured in the 2012 Explorer which produces more horse power and almost the same amount of torque as the V6, 4.0 liter engine in the 2010 Explorer, as well as an incredible 26 percent improvement in fuel economy. Today only at Pumpkin Fine Cars we would like to let you know about a pristine SUV now in inventory. 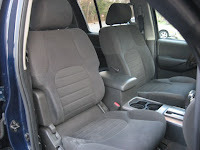 We are talking about a 2006 Honda Pilot EX that is about as clean a pre-owned car as you can find. 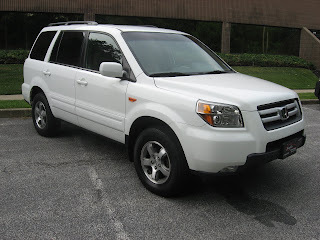 With only 65k miles this SUV is once again at an exceptional value here at Pumpkin. Priced at just $16,495 we are already almost more than $3,000 below book value! 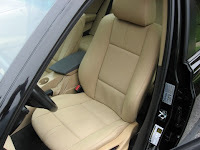 This Pilot has a sharp White Exterior and Gray Cloth interior and with the EX trim you do get the Power Driver Seat, 6 Disc in Dash CD Changer, Privacy Glass and a Luggage Rack. Having three rows of seats allows seating for 8 passengers so you can transport the whole family in one car. The All Wheel Drive is on all the time and is great for getting around in unpleasant and unsafe weather. It also allows you to lock the rear differential if you should take it off road or on the beach. With a very efficient six cylinder engine, the gas mileage is very reasonable for a full size SUV. Honda's are renowned for their reliability and this is a truck that is very pleasant to drive and will run forever. It was handpick by our own Franck Freon, and thoroughly inspected by certified mechanics all as part of our rigorous Pumpkin Certified Process. If you are looking for a great SUV without spending all the money in the world, you have to come by our unique indoor showroom and check out this absolutely pristine 2006 Honda Pilot. Please do not wait too long, chances are someone else is thinking the same thing that you are!! As we all are well aware, tomorrow marks the 10th anniversary of the tragic attacks of September 11, 2001. 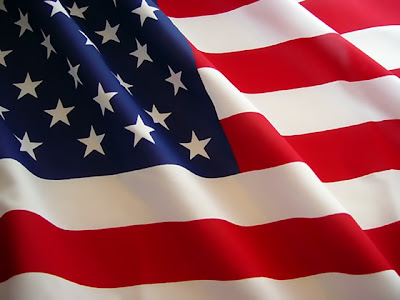 We here at Pumpkin Cars would like to send our sincere thanks to all of the true heroes that day that risked and even gave their lives to help our fellow citizens escape what can only be described as a horrific scene and experience. We urge our friends, neighbors and customers to thank and Police, Fire, EMT and Military personnel for their courage and sacrifice in order to keep us safe and save the lives of so many. Most likely they will respond with something to the effect of, "We are just doing our job. ", but it is much more than that because at the time I imagine most were just as scared, shocked and saddened as the rest of us, but they still put their lives on the line to, "just do their job". It is truly amazing ten years later to see how we all pulled together as Americans during such a difficult time to help each other and try to keep a sense of normalcy in the days after the attacks. We were not Black, White, Asian, Latino, Democrat, Republican, Christian, Jewish or Muslim...we were all for at least a short time just Americans. So as we keep in mind that day ten years ago, keep in mind also the spirit of those heroes and our fellow citizens and strive to live each day with the strength and courage that they showed. 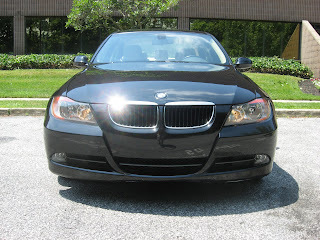 Today, only at Pumpkin Fine Cars we offer to you this strong and sporty 2008 BMW 328i. The BMW 3 series is the premier sports sedan on the market and is renowned for it's engineering and luxury. This 328i is an aggressive Black exterior with a Tan Leather Interior, which is always a sharp and eye catching color combo. It has only 46k miles, is a Car Fax Certified One Owner car and it under full BMW factory warranty until April of 2012. With the BMW factory warranty that also includes service items such as Oil Changes, Brake Pads, Wiper Blades and Cabin Filter which adds a tremendous amount of value to this BMW 3 Series. This car is offered for the very reasonable price of $22,995 which is almost $4,000 below book value! Once again, where else but Pumpkin Cars can you find such a top notch inventory and such great values? We all know that BMW offers the "ultimate driving experience" but as far as luxury features and options they have continued to improve and add great equipment. This 3 series is very well equipped with Automatic Steptronic Transmission, Premium Package which includes Power and Heated Seats with Memory Positions, Alloy Wheels, MP3/CD Player, Auto-Dim Rear View Mirrors, Power Moon Roof and much more! Not only is it fully loaded, but the BMW 3 Series is the most economical vehicle in it's class. Franck Freon knew that this 3 series had to become a Pumpkin Car and knew this would be a great car for one of our fantastic customers. It has been fully serviced by an ASE certified mechanic, professionally detailed and is ready to make a driver very happy. This is all done as part of our very stringent Pumpkin Certification process. If you think that this is the car for you, come visit our unique indoor showroom to take it for a spin, just to make sure!